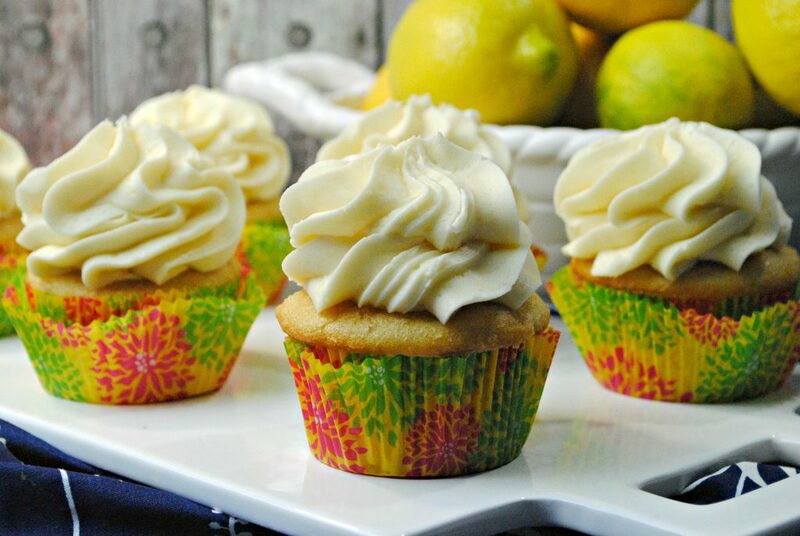 There is something about these Lemon Chiffon Cupcakes that I cannot resist. I don’t know if it’s the light and airy cream cheese frosting, the soft moist cupcake, or the slightly sweet lemony deliciousness, but I could eat one after every meal. This recipe is easy, so don’t go buy when you can DIY. Head to the kitchen and whip these up for your next gathering or to celebrate a special day (like Friday!) Any occasion will do! 2.Line cupcake trays with liners. 3. Beat butter and sugar in a large bowl for 3 minutes until light and fluffy. 4.Add in lemon juice, zest, and vanilla extract, beat for one more minute until combined. 5. In a separate medium bowl, sift cake flour, baking powder and salt. 6. In another small bowl, use a whisk to mix together the egg whites, oil and buttermilk. 7. Slowly add a little of the flour mixture to the butter mixture, add a little of the buttermilk mixture. Switch off between adding the flour and buttermilk mixture, ending with the buttermilk mixture. 8.Beat for 2 minutes to combine all the ingredients thoroughly. 9. Fill the liners 3/4 of the way and bake for 20 minutes. 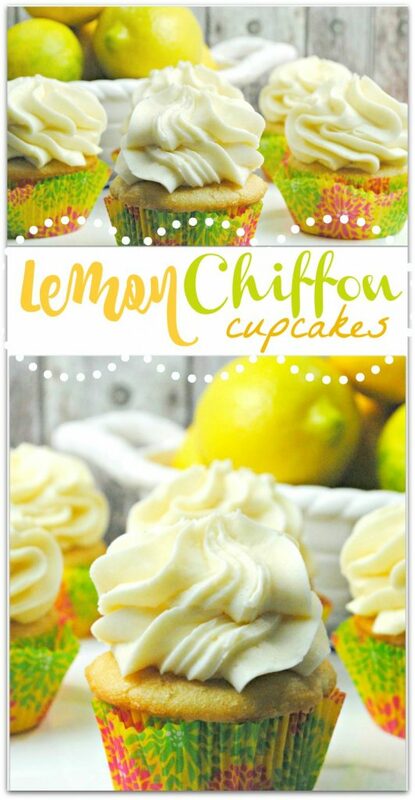 There is something about these Lemon Chiffon Cupcakes that I cannot resist. I don't know if it's the light and airy cream cheese frosting, the soft moist cupcake, or the slightly sweet lemony deliciousness, but I could eat one after every meal. Beat butter and sugar in a large bowl for 3 minutes until light and fluffy. Add in lemon juice, zest, and vanilla extract, beat for one more minute until combined. In a separate medium bowl, sift cake flour, baking powder and salt. In another small bowl, use a whisk to mix together the egg whites, oil and buttermilk. Slowly add a little of the flour mixture to the butter mixture, add a little of the buttermilk mixture. Switch off between adding the flour and buttermilk mixture, ending with the buttermilk mixture. Beat for 2 minutes to combine all the ingredients thoroughly. Fill the liners 3/4 of the way and bake for 20 minutes. Add all of the ingredients into a stand up mixing bowl and mix until combined. If the frosting is to thick add in 1 tbsp of heavy whipping cream. 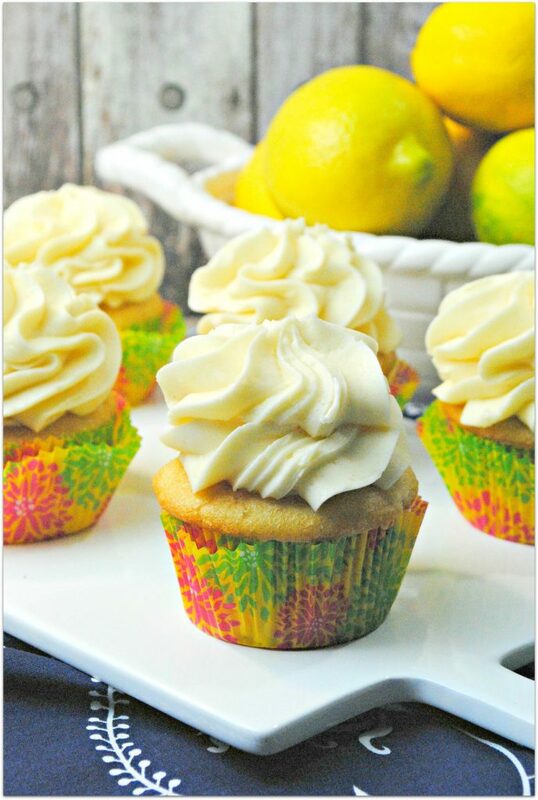 This Triple Berry Lemonade would be amazing with these cupcakes! 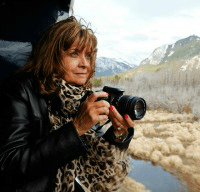 Watching your weight? 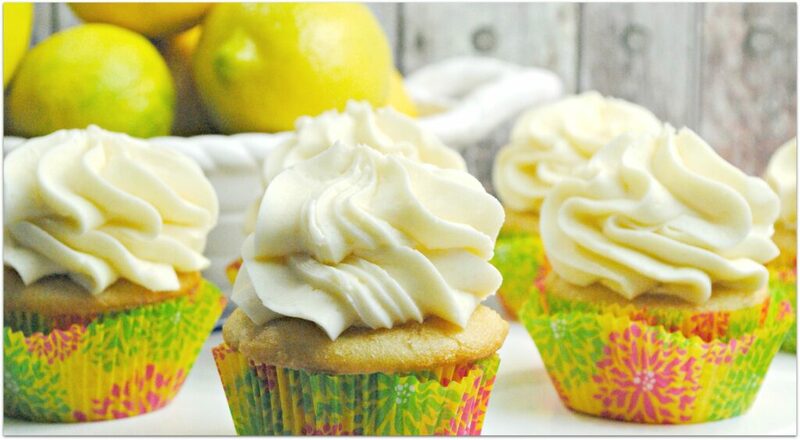 Check out these Weight Watchers Cupcakes!